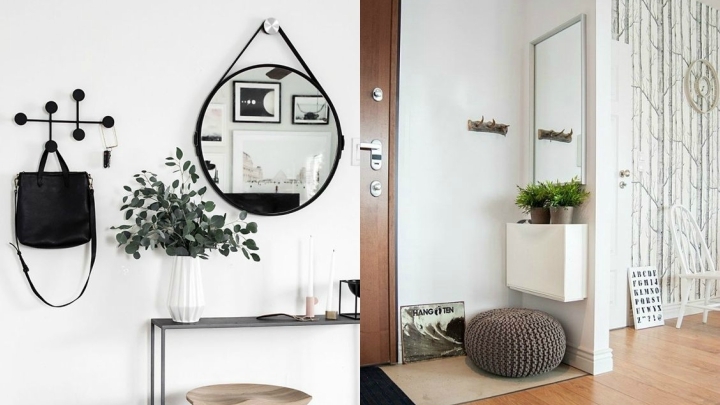 There are decorating trends that never go out of style or reinvent themselves year after year. 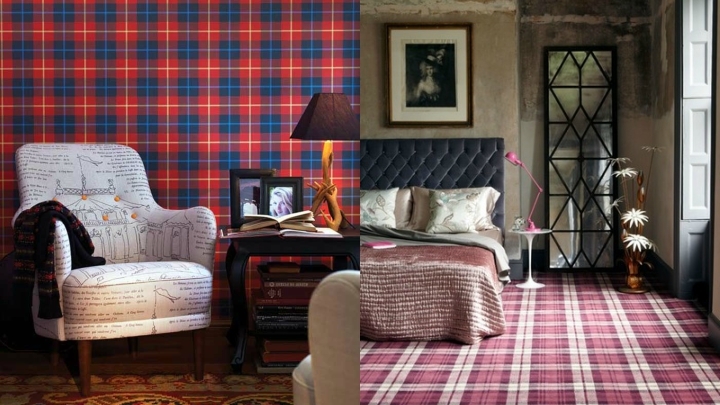 It is the case of plaids, present perhaps especially in the purely Christmas decorations but we can also incorporate all year in furniture, textiles and accessories. Also known as tartan, looks great in environments with rustic or country but the vast palette of colors available makes it possible to feel great in any decor. Today we know some ideas, to help you bring them into your home. You want to know how? As the Scottish box itself is quite striking, it may be fine if you put it on smooth walls in neutral tones, so that monopolizes all eyes box. As I said at the beginning, you can use in quilts, cushions, curtains, carpets or upholstery furniture. One of the most common ways to introduce such pictures is through textiles. They look great on cushion covers, tablecloths, in quilts, comforters, duvets, blankets, even curtains and carpets. You get to give a special air to the room with little touches (or larger, if you prefer) customizing the most choosing your favorite colors . Remember that the lighter shades will help you win brightness and if you opt for other more traditional brown or red will design a classic atmosphere. Depending on the style you want to give the decoration, you can choose colors that evoke a greater or lesser extent. 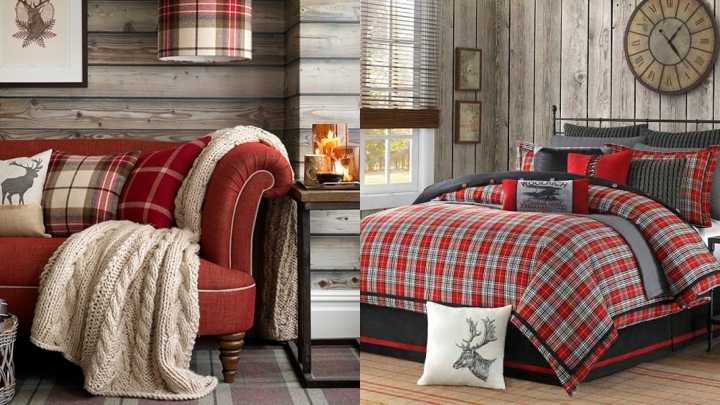 For example, if you want a romantic bed you can put some pillows and bedspread in red plaid combined with other pads in raw or white tones. 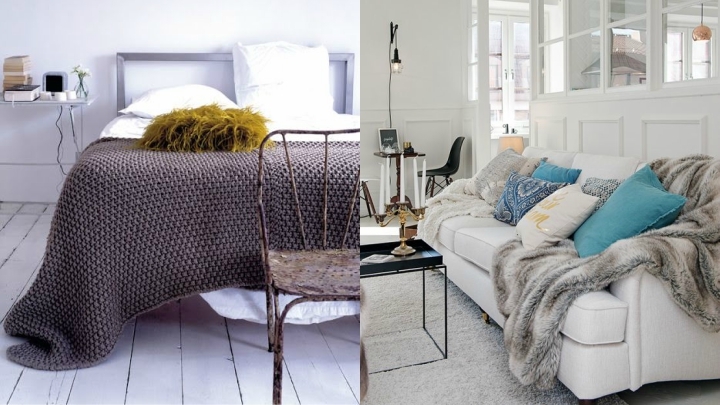 For a style country will be great reds, marine and toasted colors, if you want to look like we’re in a cabin in the mountains, commitment plaids in shades of beige and if you prefer air vintage, great quilts and cushions in beige and gray. Perhaps you may seem too much, but what do you think decorate your floors or walls with these reasons? Only one of the two things, I mean, not to saturate the space. 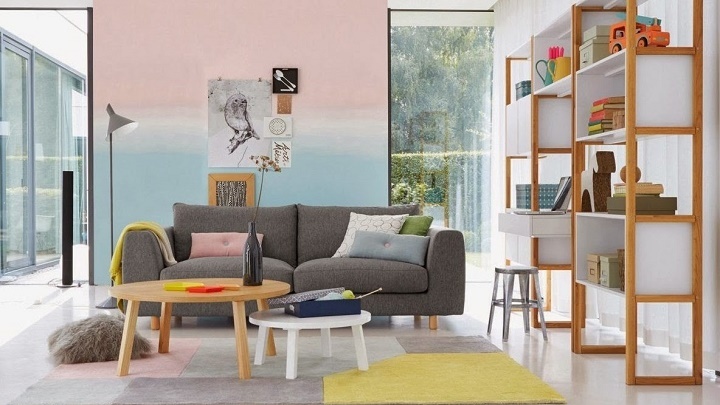 You can use a painted paper boxes in the hall or in one of the walls of the living room or bedroom, playing with different colors to create the feeling that you want for your stay. On the floor you can put some carpet. 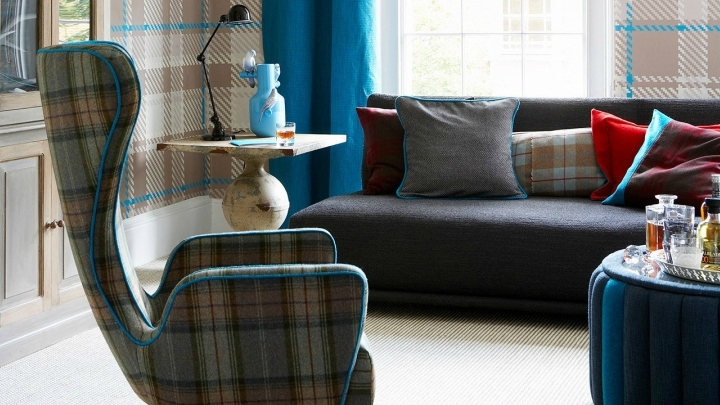 Another option to incorporate tartan to your decor is through decorative elements such as tables, plates, pots and even in the household kitchen. You get to give a different touch to the stay and generally surprising since usually see in other elements.